While money can’t buy happiness, it can certainly buy plenty of things to improve well-being. One thing that no amount of money can buy, however, is time. 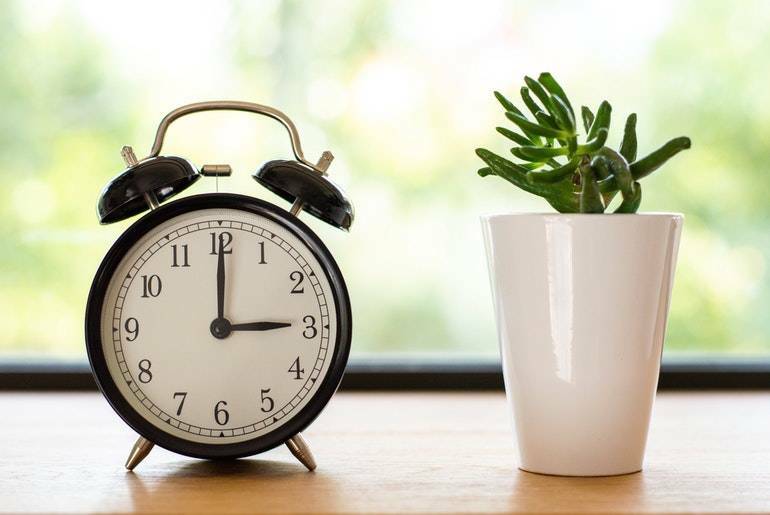 It is therefore quite beneficial to follow some helpful time management activities in order to better manage your time and ensure for optimal productivity and well-being. Luckily there are some minor changes you can make to overall improve your workplace motivation and production. Is time management not your forte? Life Hack overviews areas where time management skills can be improved. By creating a list of everything you need to accomplish in a day, or even over a week or quarter, you can place emphasis on the tasks that need immediate attention. Brush up on your organizational skills and create a comprehensive list of what needs to be done so that you can prioritize important work as soon as possible. By determining what needs to be done, you can also decide what tasks can be delegated to other workers or employees. Delegation of tasks is essential in order to ensure that your time is best spent on what you need to accomplish. Make sure to set up and stick to your deadlines. The key to productivity is avoiding procrastination and tackling head on what needs focus. Though routines can be criticized for making life stale, humans are indeed creatures of habit. No one knows your body better than you do, and it’s key to structure an everyday work routine that is suited to meet your unique needs. You’ll make a more productive use of your time at work if you structure your daily routine to promote well-being. Stick to a bedtime that compliments your office hours. Anticipate your common daily crash times and plan ahead with caffeine or snacks. Instead of having to constantly devise a strategy to power through your daily rough patches, plan to do your easiest tasks when you’re feeling lowest and conquer the more demanding obstacles when you’re feeling your best. You may not necessarily be your own boss, but that doesn’t mean you can’t structure your work day to better meet your needs. It may take some trial and error, but once you’ve figured out what works, you’ll experience a heightened sense of well-being. While the goal of a successful company is to get the job done effectively and efficiently, the significance of personal well-being in employees cannot be undervalued. Studies show that the most productive workers are the ones that work for roughly 52 minute intervals followed by 17 minute regular breaks according to a Desktime study. Society places too much emphasis on accomplishment, and not enough focus on how to find the balance between accomplishment and happiness. The highest performing workers are the ones who take the time to relax in between surges of work. While some workers believe that forgoing sleep or meal times in favor of precious extra minutes of work will boost productivity, it in fact has adverse effects on work performances. The most productive workers are those who favor naps and downtime in lieu of constant workplace stress. Stress is an unavoidable part of life, but we can alter how we react to unexpected obstacles. Instead of panicking when a deadline is shortened or a large workload is required, work these new hindrances into your daily routine. Incorporate added work into your hierarchy of tasks and determine what needs immediate focus. An important thing to remember is it’s okay to say no. While some might think it’s favorable to juggle many tasks at once, multitasking is actually linked to an up to 40 percent drop in productivity. If you have too much on your plate, be honest about what you can handle. Chances are your current focus requires your immediate attention, so it is perfectly acceptable to be honest about needing more time to take on a new task. Remember: you’re only human. Dawn is a loving wife and mother of three and an up-and-coming entrepreneur. She has spent the last couple years trying to get her business off the ground. In her journey, from working for a big CPG company and a pretty popular tech company to starting her own business, she has learned a lot about the difficulties of running a business and how to be successful. With all she has learned about business, she has decided she wants to help other businesses avoid the mistakes she has made and help them succeed even when she is still searching for that very thing for herself. First and foremost is her family. Second is her business and helping others with theirs.